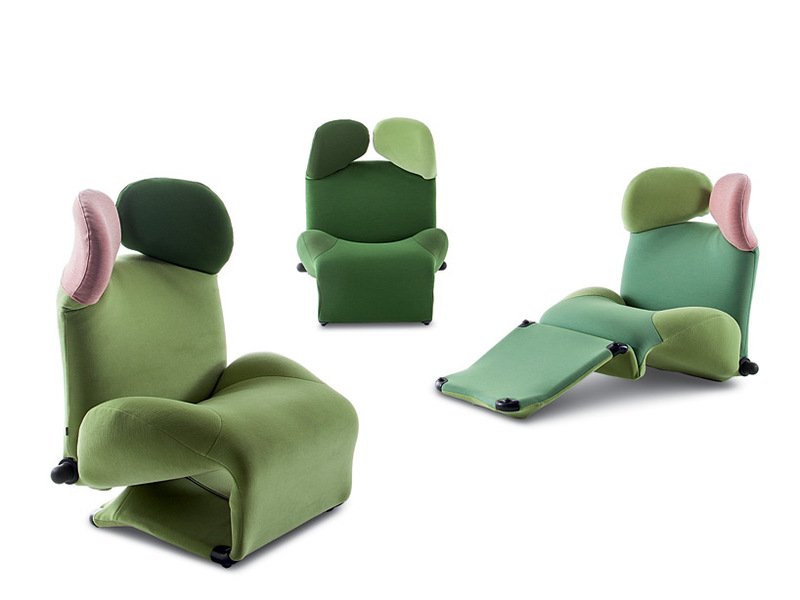 italian furniture company cassina celebrates its 90th anniversary ‘C90’ in 2017, and to mark the occasion the brand looks back at its history and takes the opportunity to cast a contemporary eye on nine design icons taken from its archive with the ‘MutAzioni’ (mutations) project. 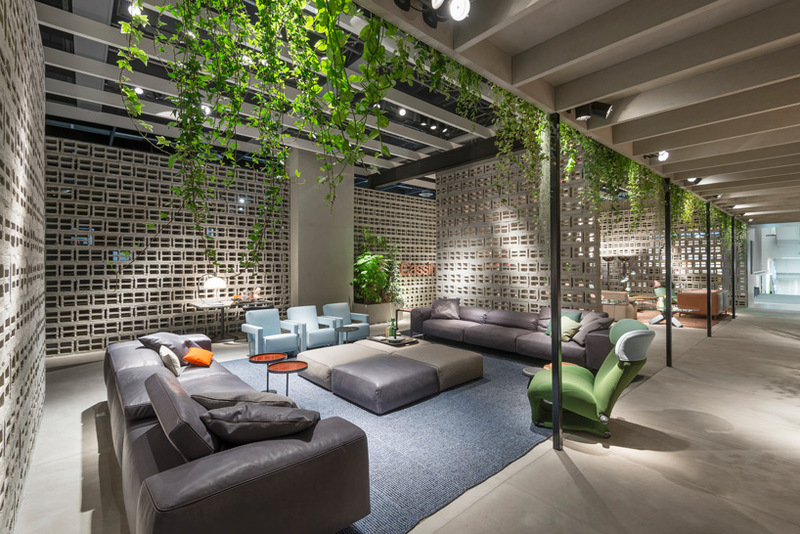 imm cologne 2016 was the stage in which cassina debuted the first five C90 works of the ‘MutAzioni’ initiative: the ‘met’ club armchair and chaise lounge elements by piero lissoni; the ‘black red and blue’ chair and the ‘utrecht’ armchair in various editions by gerrit t. rietveld; the ‘doge’ table by carlo scarpa (cassina simoncollezione); and the ‘wink’ chaise lounge by kita toshiyuki. curating the pieces for ‘MutAzioni’ — a project that looks towards the future without losing sight of the company’s origins — from so many iconic designs that have played a significant part in the evolution of cassina and contemporary design as a whole, was a challenge. 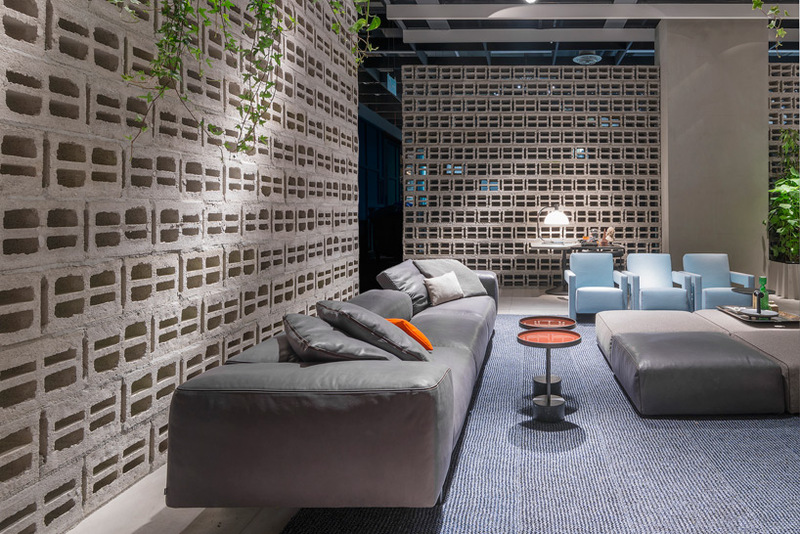 the selected furniture focuses on models that have over the decades become synonymous with contemporary design, but have never been revised or transformed with the attitude of continuous movement adopted by cassina to keep its portfolio fresh. by rediscovering and reinforcing the identity of these pieces, ‘MutAzioni’ underlines the continuous need to adapt to the ever changing world in which we live. 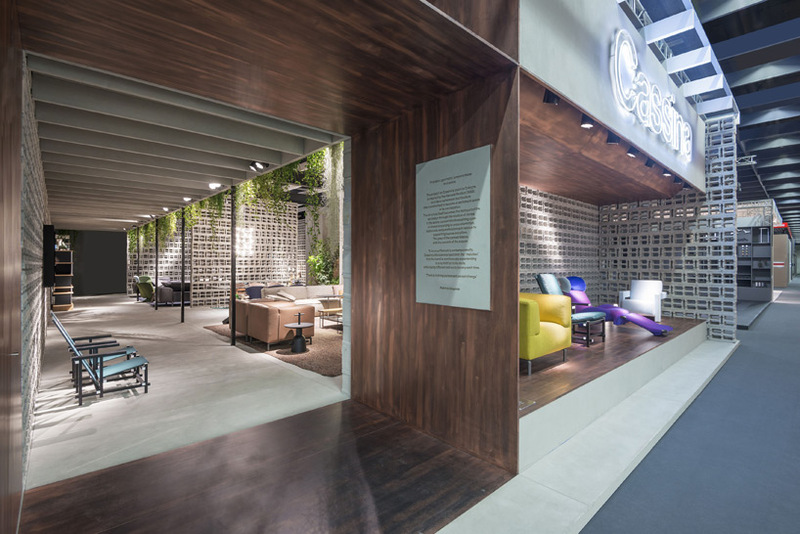 to set the scenography for unveiling the first five designs, cassina’s art director and curator of the C90 programme patricia urquiola, conceived a stand that draws influences from the rietveld pavilion, setting the tone of collection. 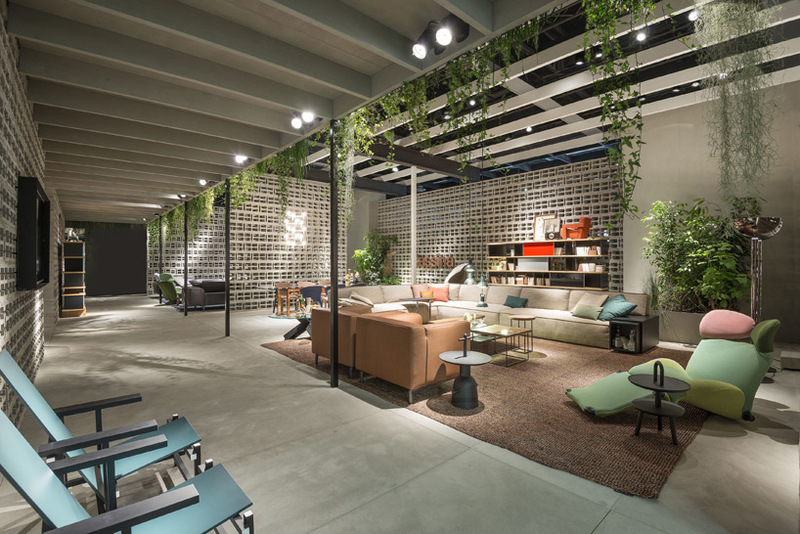 observation of cassina’s imm cologne 2016 stand immediately reveals references to the temporary structure constructed in 1955 in arnhem, holland — built to display sculptures, and later reconstructed in the kröller-müller museum’s sculpture garden. urquiola has transferred and integrated the rietveld pavilion’s various structural and aesthetic elements into her scheme. the graphic rhythm and separation of structural elements, both recurrent themes in rietveld’s work, are highlighted in the juxtaposition of the ceiling’s white painted beams and supporting cement columns painted black. 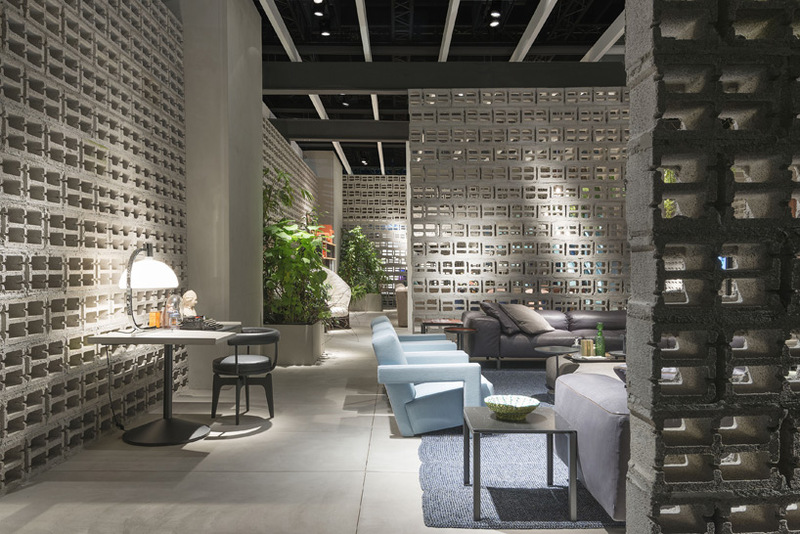 light, another important element, is naturally filtered from above, as well as through the transparencies of the walls that alternate with larger cement blocks. 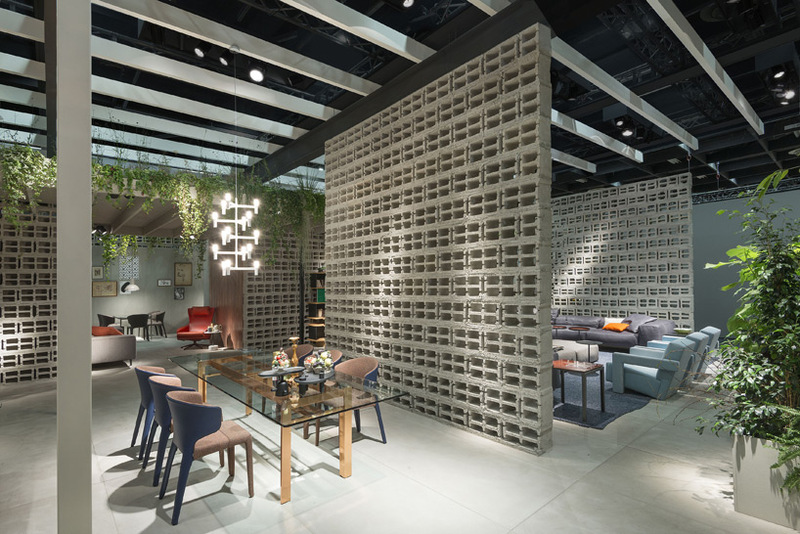 internally, the space is that of an inviting home environment which showcases the first five ‘MutAzioni’ projects in relationship to pieces from the company’s 2015 collection and cassina classics, exhibiting the timelessness of the brand’s designs. the other pieces of the ‘MutAzioni’ collection are being revealed throughout 2016.
the ‘black red and blue’ (zeilmaker version) was born out of gerrit t. rietveld’s chromatic experimentation while researching the origins of the red and blue. it emerged that the key idea of the first prototypes was based on the concept of spatial organization expressed through the monochromatic tones of its elements. the first version was in fact produced in 1918 in completely unpainted wood. 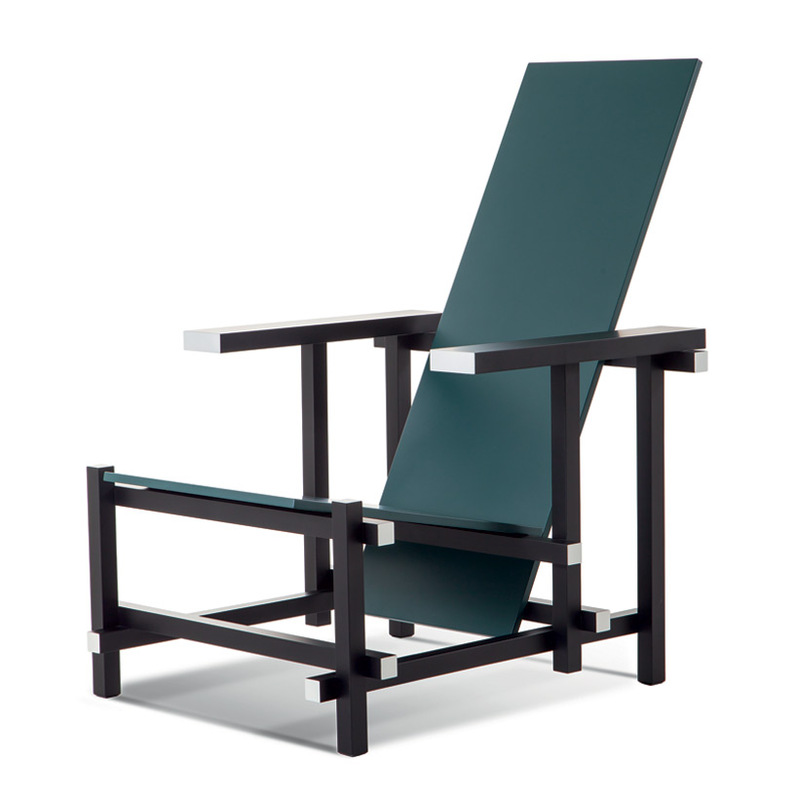 in the following years, rietveld proposed various examples, either monochrome or painted in different colours, depending on the requirements of his customers and the interiors for which the chairs were intended. 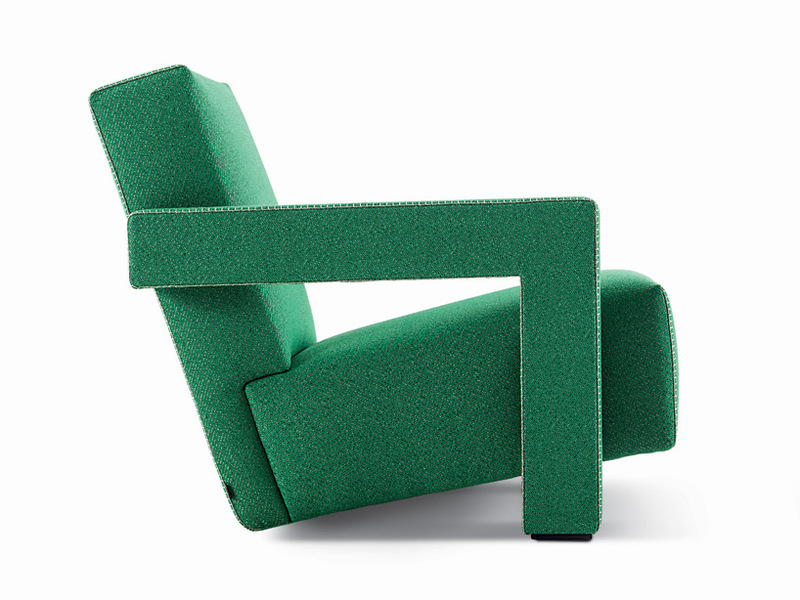 for this, it comes as no surprise that this 1920s version has been included as part of cassina’s ‘MutAzioni’ selection. 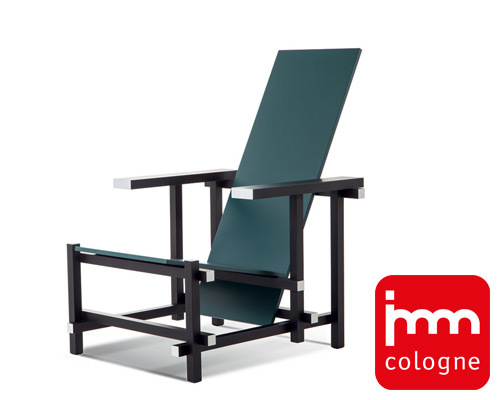 composed of a black frame with white ends and a dark green painted seat and backrest, it was created for the school teacher wicher zeilmaker. 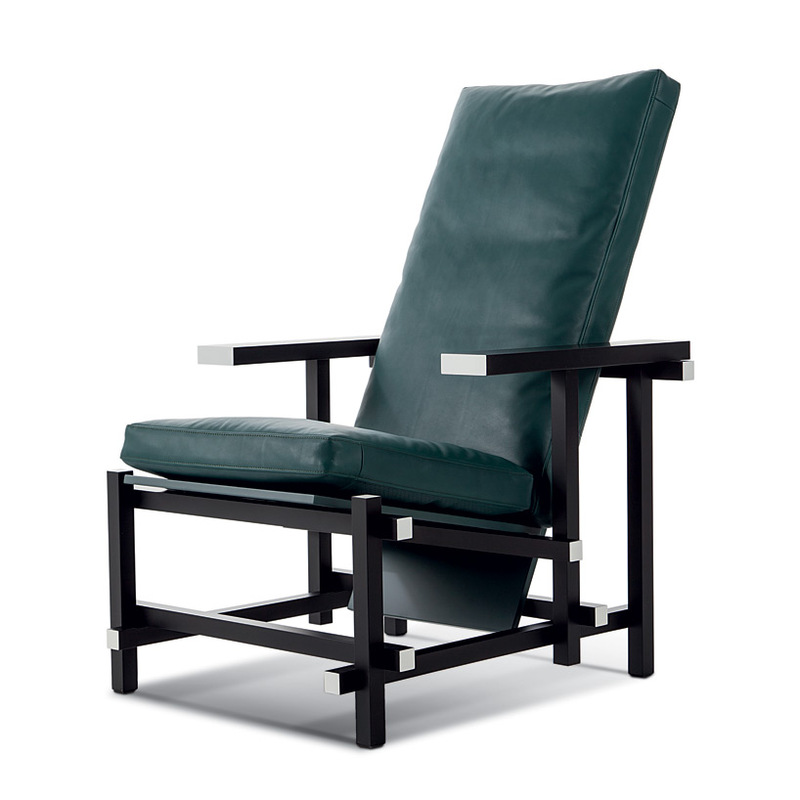 it was rietveld’s ever-increasing involvement in the de stijl movement that led him to also use primary colours on a model, and as such the chair became a veritable manifesto for the emerging neoplastic movement. initially dubbed slat chair, rietveld only gave it the name ‘red and blue’ in the 1950s following its chromatic evolution. 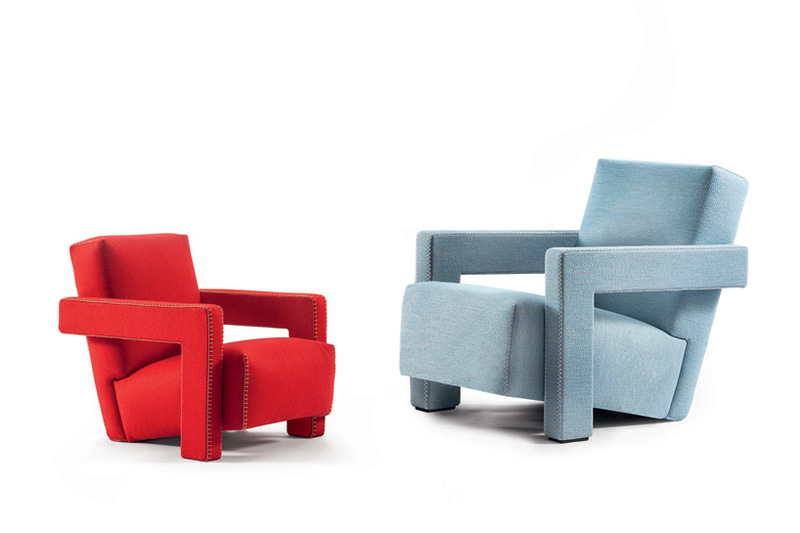 the various owners of the different examples used the chair as an abstract-realist sculpture in their interiors and, in some cases, as a simple tool for sitting on, adding cushions to make it more comfortable, just like cassina offers for the ‘black red and blue’ today. 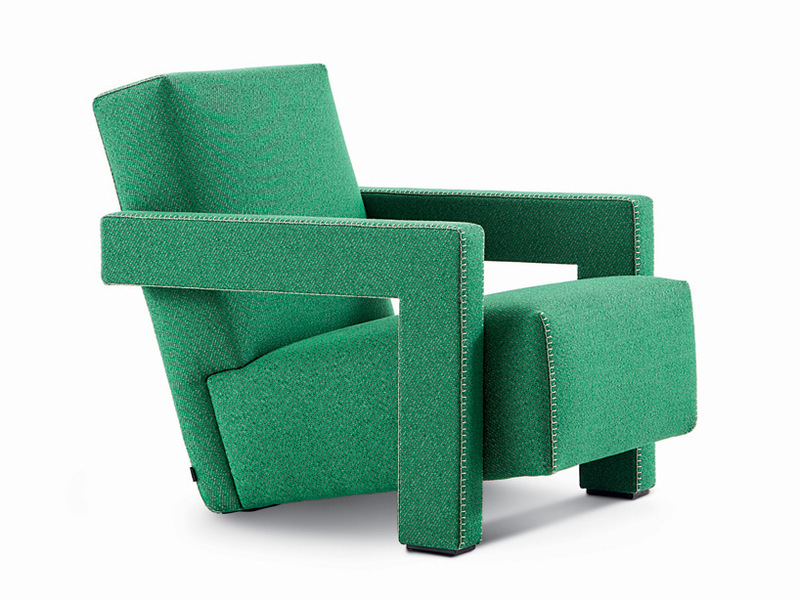 the separation of structural elements and the study of new materials and shapes can also be identified in the ‘utrecht’ armchair produced exclusively by cassina since 1988. initially designed in 1935 for the metz&co department store for widespread distribution, ‘utrecht’ represents rietveld’s decision to adopt a more ‘market-oriented’ approach to comfort and relaxation. 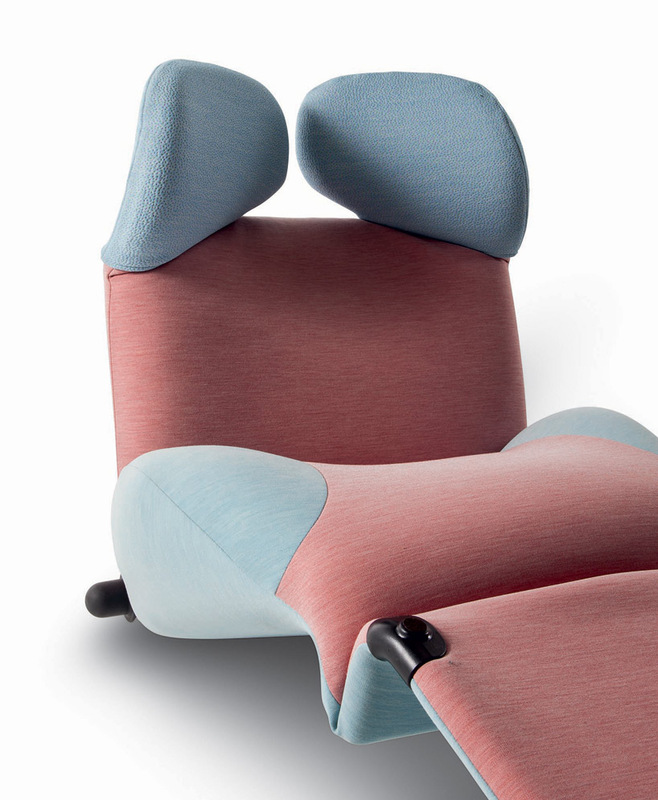 as part of the ‘MutAzioni’ project, cassina continues in this direction, responding to the growing need to satisfy individual preferences and customized projects, by introducing: an additional zig-zag stitch; five new colour options for the thread (natural, red, yellow, light blue, black); and a wide range of contemporary fabrics and leather for the ‘utrecht’ and ‘utrecht XL’ — an easy to wash yellow, red and blue faux leather, and two types of red fabric for the ‘baby utrecht’. 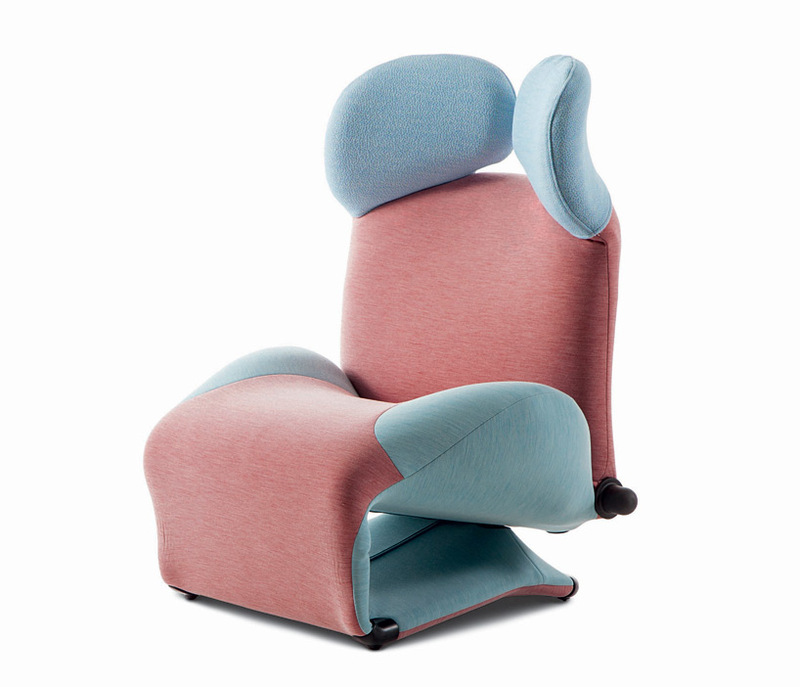 two new sizes have also been introduced: the ‘utrecht’ XL armchair, an anthropometric response to the increasing proportions of today’s generations; and the ‘baby utrecht’, a 30% smaller version ergonomically adapted for 3 to 8 years olds as a tribute to the numerous projects rietveld dedicated to children. 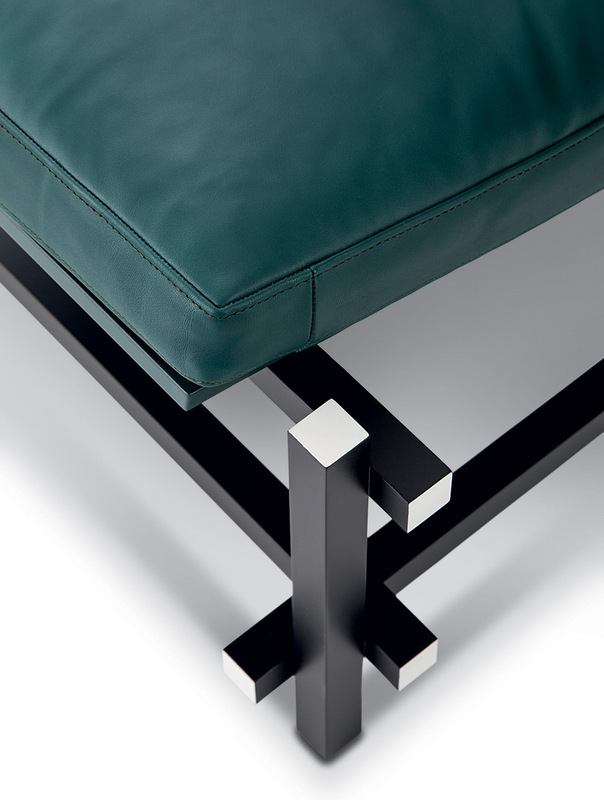 the ‘doge table’, designed by carlo scarpa, became part of the cassina simon collezione following the acquisition of the historical simon company in 2013. simon actually started its production in 1968 with this particular masterpiece, one of the cornerstones of the ‘ultrarazionale’ movement established with the aim of overcoming the strict limits of rationalism. 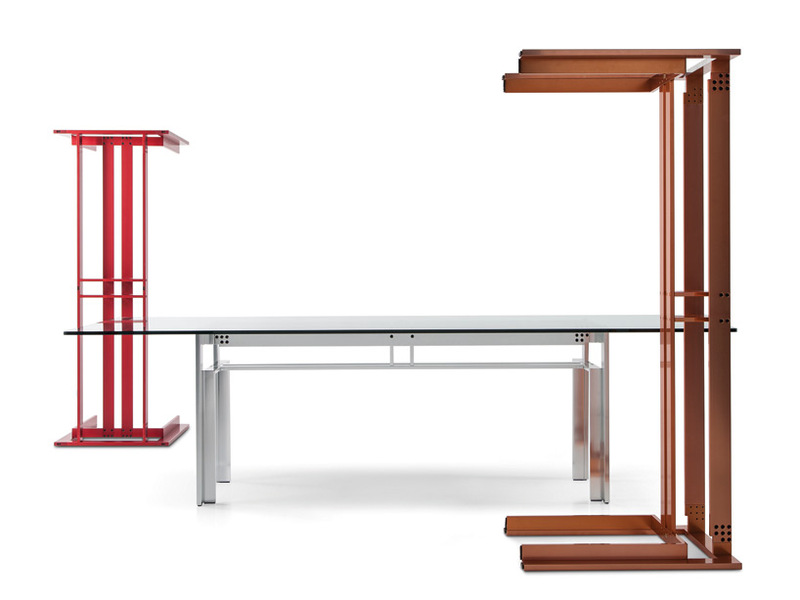 for the ‘MutAzioni’ project, the table’s frame is now available in a range of new finishes — polished aluminium, polished gunmetal, polished copper and matte red — alongside the original steel version. 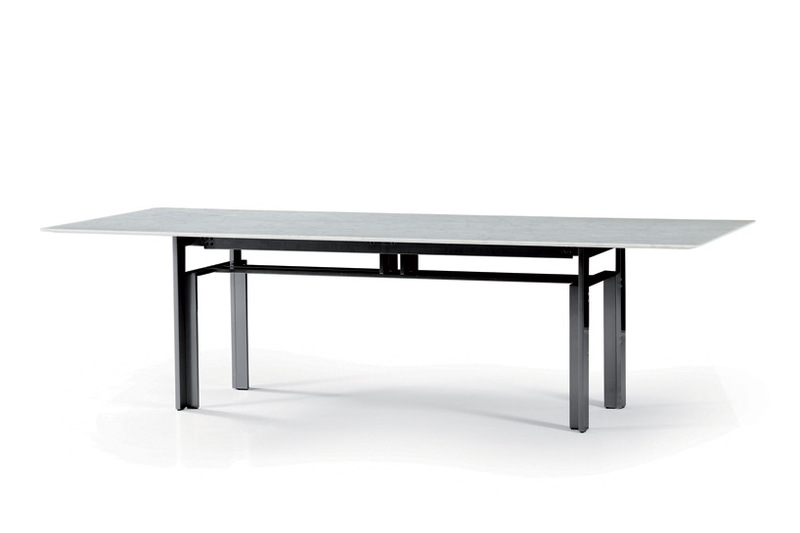 two new table-tops in white carrara marble and black marquiña marble have also been added, as well the existing float-glass top which recalls the first model’s top with a marble insert which scarpa made for the house of a swiss customer. 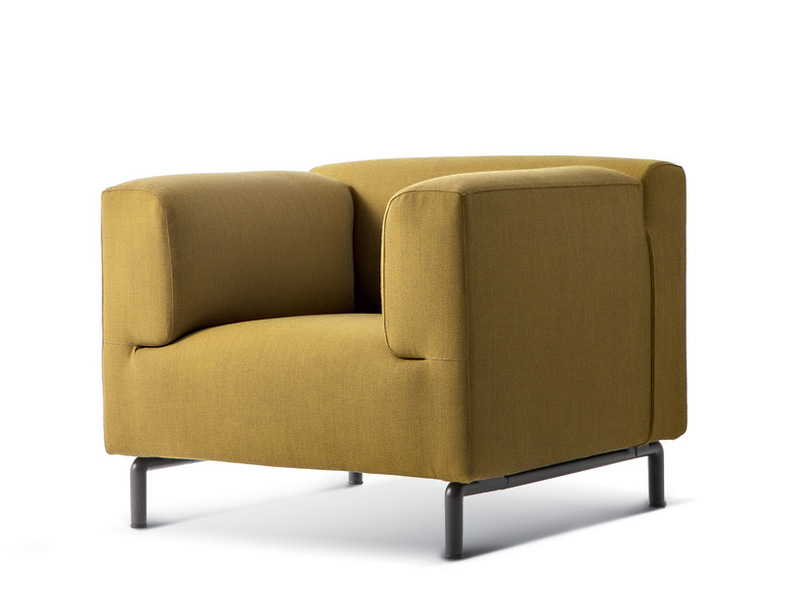 the ‘met’ sofa by piero lissoni strongly defined the landscape of the 1990s, a decade defined by a ‘return to order’ after years of unconventional and strongly characterized products. the pure and simple form of the piece focuses on the quality of life and living. ‘a range of sofas designed to be assembled freely in their environment, always resulting in impeccable elegance’, announced the advertisement. 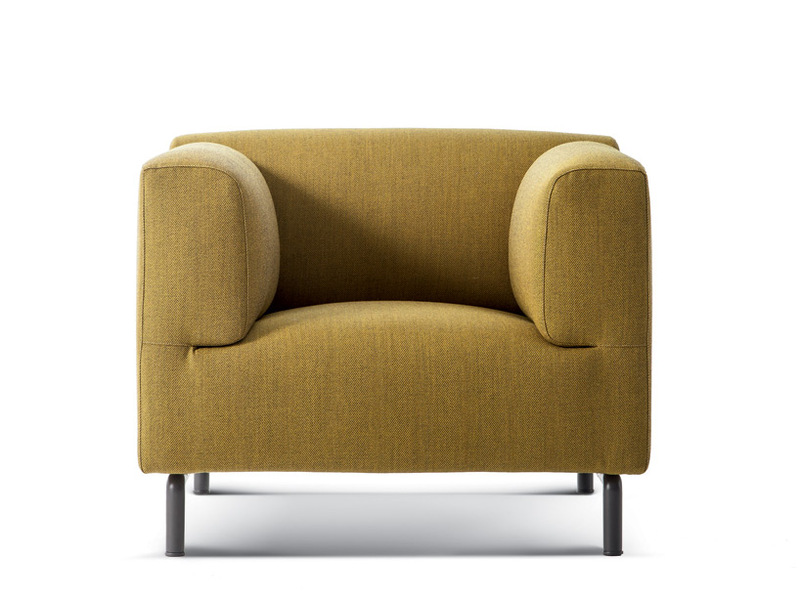 respecting this theme of continuity, the ‘MutAzioni’ project sees the introduction of a new range of elements, a club armchair and a right or left chaise-longue, to be combined with the sofa; as well as new feet finishes, offering combinations for today’s living necessities. 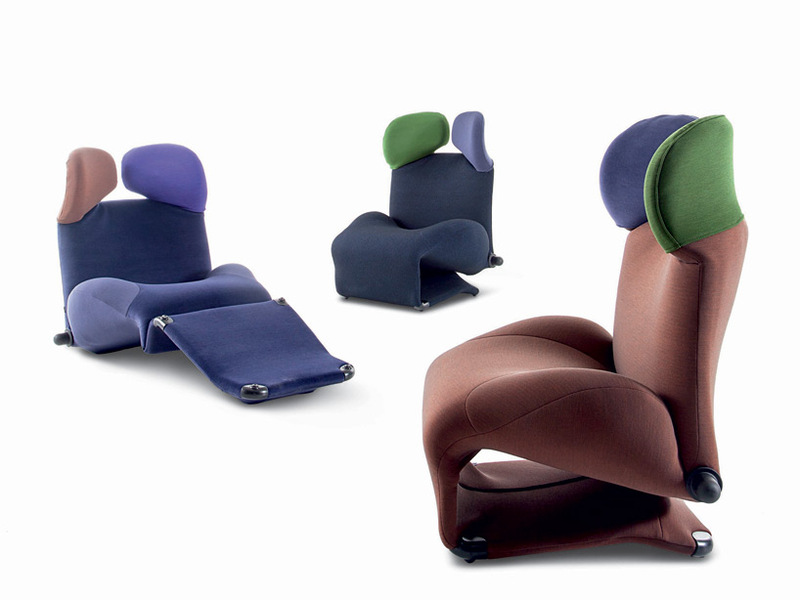 an icon of the eighties, the ‘wink’ chaise-lounge with adjustable positions by toshiyuki kita was truly innovative in its approach to the trends of a generation with a changing attitude to living. today, it still stands as a symbol of an informal and ‘colourful’ lifestyle. the design has been updated to adapt to today’s tastes with a wide range of contemporary fabrics and colour combinations for both the internal and external parts; including its ironic mickey mouse ears, confirming more than 35 years later the project’s playful and hedonistic spirit.